Acttab chloramphenicol is an antibacterial drug that is prescribed for the treatment of infectious inflammatory process of various etiology. Effectively fights with pathogenic microorganisms such as bacteria, spirochetes, Rickettsia, large viruses. Ingested in pill form. Drug quickly relieves gastroenteritis symptoms – nausea, vomiting, diarrhea, and inflammatory processes. This article contains full instruction on the use of chloramphenicol acttab, given the specifics of the drug. The main active substance providing a therapeutic effect – chloramphenicol. This antibacterial agent broad spectrum of action, which has a pronounced bitter taste. Not soluble in water but readily in alcohol. The substance is highly active concerning gram-positive and gram-negative bacteria and their strains, chlamydia and other microbes. Getting into the body, the antibiotic disrupts the vital processes inside the cell. Drug resistance develops very slowly. talc – auxiliary substance for the manufacture of tablets. The chloramphenicol acttab when taken orally is immediately absorbed into the bloodstream through the mucous membranes of the digestive tract. Its maximum concentration in plasma observed after 2-3 hours. The activity of the drug in the blood lasts for 4-5 hours. Antibiotic freely penetrates all fluids and tissues of the body. 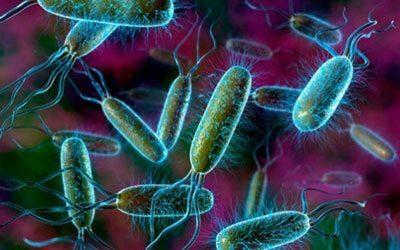 The antibiotic has no effect on bacteria that are resistant to acid – staphylococci, enterobacteria, fungi, protozoa. The drug is eliminated from the body within one day by the kidneys (90%), naturally through the intestine (1-3%). When hemodialysis is displayed very poorly. Often prescribe chloramphenicol acttab diarrhea. Pills in a short time enable to get rid of symptoms such as loose stools, diarrhea in the form of a putrefactive and fermentative processes (dyspepsia), flatulence. The chloramphenicol acttab is made in the form of tablets for oral administration. 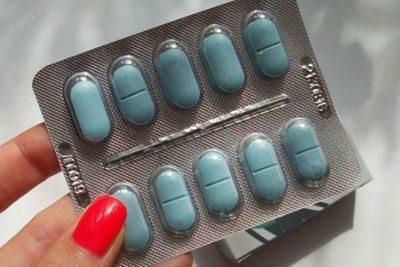 Each tablet is sheathed in a special film light blue hue. In appearance they are oblong, with graflinger in the middle. In cross section, clearly delineated two layers. Inside the tablet is white or with yellow tinge. Dosage formulations of 250 and 500 mg per one blister of aluminum foil at 10, 12 and 15 tablets. In one carton from 1 to 6 blisters and the application’s manual. Tablets are stored at room temperature not exceeding 25°C, protected from sunlight. The drug is taken orally half an hour before meals. The number of receptions from 2 to 4, depending on the diagnosis. The maximum daily dose of antibiotic should not exceed 2 g. If the patient is seriously ill and is hospitalized, then the dosage can be increased to 4 g per day. However, he needs to be under constant surveillance. 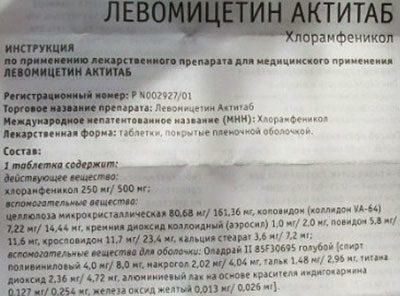 Children chloramphenicol prescribe 3 years and only on condition that their body weight at least 20 kg. 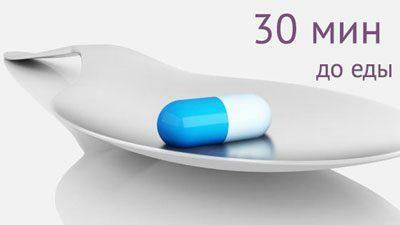 Small patients prescribe pills with the active substance is 250 mg or 0.25 g. Give 1 tablet in 12 hours or ½ tab. every 6 hours. If the child has a severe infection to help him, the maximum daily dose can be increased up to 100 mg per kg of body weight. In doing so, a continuous monitoring of the concentration of substances in the blood plasma. The duration of antibiotic course is 8-10 days. The chloramphenicol acttab from diarrhea administered orally. It is important to swallow the tablet whole without chewing, and drink plenty of water. Diarrhea is almost always accompanied by nausea, abdominal pain, vomiting. Therefore, to drink the drug better an hour after a meal. Diarrhea maximum course of treatment is 7 days. If the stool is blood, it is an antibiotic that lasts for 15 days. a violation of the quantitative composition of the blood – decrease in red blood cells, platelets, leukocytes, hemoglobin. The antibiotic is highly toxic by ingestion and can cause severe side effects. Therefore, it is not prescribed for nutritional diseases and functional disorders of the gastrointestinal tract, infants are weakened by chronic diseases people older patients. The most dangerous complication when taking antibiotics, which can lead to fatal irreversible aplastic anemia. This oppression and a complete cessation of the formation of red blood cells in the bone marrow. the development of cardiovascular disease. The chloramphenicol acttab helps to achieve rapid therapeutic effect in severe infections. It is included in the list of vital and essential medicines. But the drug should not be taken alone, without a diagnosis and doctor’s recommendations. This is due to its toxicity, which poses a serious health threat.